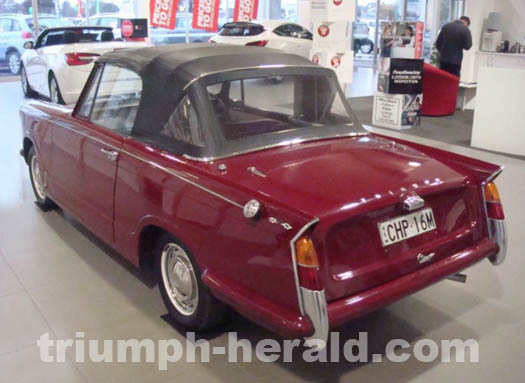 Info: Advertised for sale in Australia as a 1959 Triumph Herald Convertible. We contacted the (trade) seller to confirm an identity but heard nothing back. An interior photo shows the typical coupe layout as opposed to a saloon so perhaps a conversion from a Coupe. Hopefully the new buyer will come forward with more info. UPDATE: More info now on this car and it is a converted coupe. It retains the coupe rear seat/interior and grey door cards which would help indicate an original colour, the seats are AMI-style and are red. Sadly the commission plate is missing from the car but we now have an AMI engine and body number. 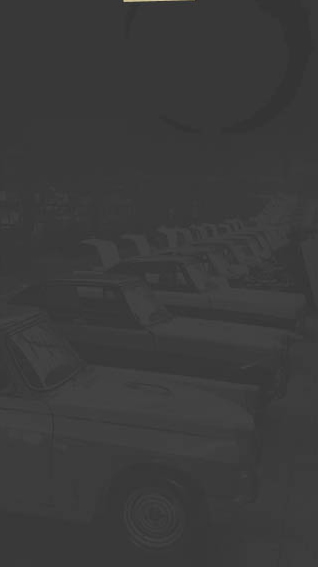 The vendor has since given the build date of October 1960.